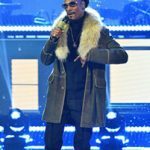 Like him or love him, Calvin Cordozar Broadus Jr, known professionally as Snoop Dogg, has been on the music charts since 1992. 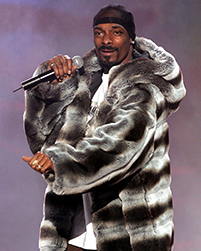 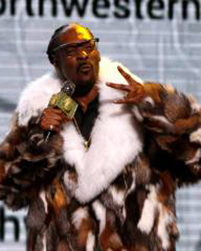 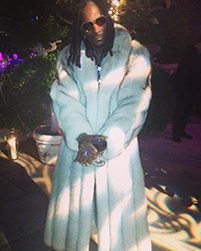 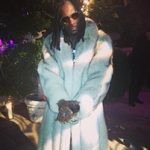 But since sometime around 2001, I’ve noticed that “Tha Doggfather” has also climbed the fur fashions charts as well. 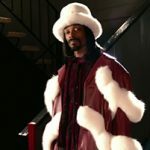 Whether the catalyst was his notoriety in the music business, or his countless cameos and other on screen appearances, the evolution of Snoop’s fur fashions have been incredible over the past 20 years. 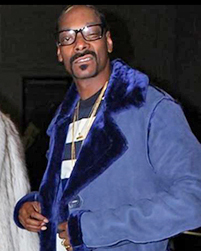 In no particular order, some highlights include Snoop enjoying a beverage at an evening party outdoors in a full length blue fox coat while wearing heart shaped glasses. 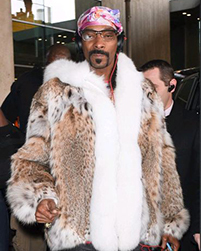 Or when he was spotted in Paris, France in his lynx jacket with white fox trim and hood. 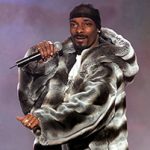 His large chinchilla hoodie has been seen in a lot of places, from the 2004 Spike TV Video Game Awards to his music video, “Drop It Like It’s Hot”. 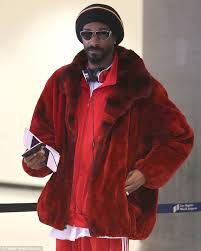 About five years ago, in the time of Snoop Lion, he was spotted numerous times, from LAX to The MTV Movie Awards, sporting his dyed red sheared beaver with dyed red chinchilla trim collar jacket. 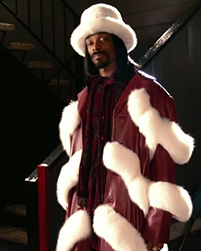 An epic wardrobe piece was the multicolored dyed fox sections full length coat that he wore as “Huggy Bear Brown” in the 2004 reboot of “Starsky & Hutch”, a role that Snoop himself insisted that he was the only one who could’ve played the character, especially since he took it upon himself, to quote Snoop, “to bring additive flavors…to make him look all the way fly.” I wonder if that means he found that flamboyant fox fur coat for the movie, or it was one that he had, and maybe still has? 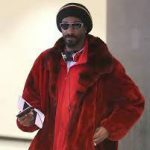 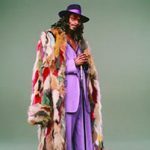 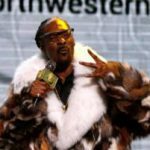 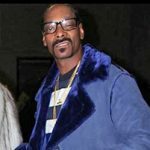 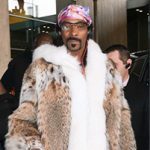 Whether he’s rocking his fur lined trapper’s hat or the white fox and red leather ensemble that reminds me of a modern take of a smooth Santa’s suit, Snoop Dogg is one to watch for extraordinary and amazing fur fashions. 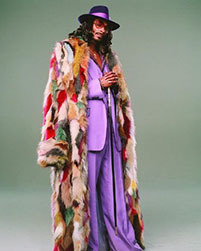 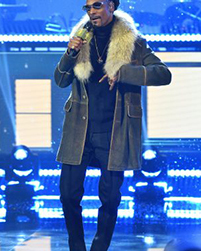 Snoop, if you see this, please just let me know what ever happened to Huggy Bear’s fox fur coat.